Made to order in a few weeks. 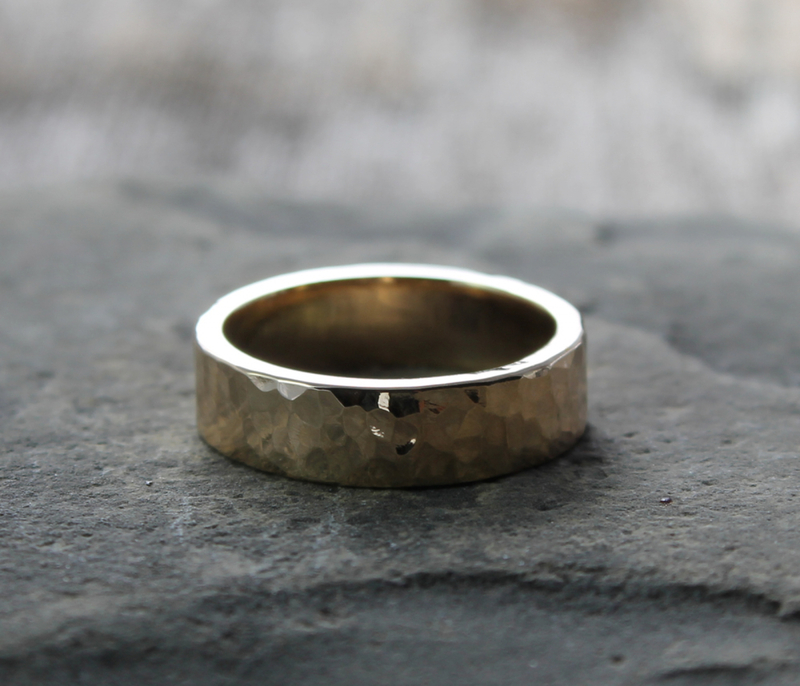 A rustic, stunning and substantial mens solid 14k gold ring forged and hammered in the heart of the Spiral River with 2mm thick 6mm wide 14k yellow gold. Gold’s beauty symbolizes wealth and prosperity. It is also said to facilitate communication between humans and a spiritual world. Gold through history has been associated with the numinous including the sun, divinity and eternal life. In the esoteric tradition of the 7 Rays, gold is the metal of the 1st Ray (will). In addition to being a jewelry artist, I am also an ordained minister. Therefore I am happy to bring blessings to your ring. If you would like this, please let me know what intentions you would like me to bring to your ring as I form it. I will repeat it like a mantra in my mind and in doing so the creation of the ring will be joined with your consciousness and wishes. Let’s make sure I create the right size ring for you. I work with US/Canadian ring sizes. I am very careful to size your custom rings to the size you order. Please double check the size you need before placing your order. 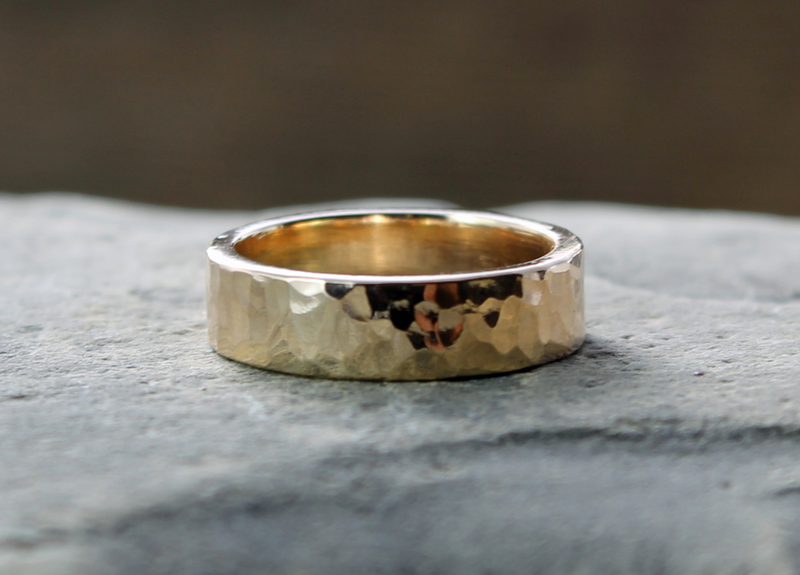 You can do this by measuring the inside diameter of another ring you like the fit of. Please make sure the measurement is precise down to fractions of millimetres. If you are ordering a wide band please measure a wide band for fit, not a narrow band. Please send me this measurement along with the ring size you desire upon checkout. AND please be sure to read my refund/exchange policies for custom rings before placing your order. "They are beautiful and fit perfectly! I love them! Thank you for making these for me." 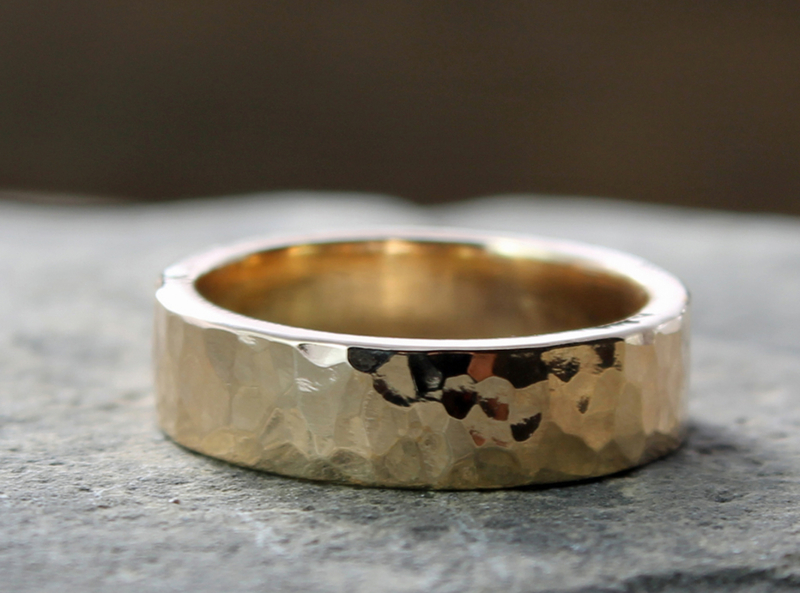 "Beautiful hammered ring!!! Fits perfectly and is very comfortable. Thank you very much!!!"